Never fear! The landscape of your dreams is here! TigerTurf Everglade Spring synthetic grass is the perfect drought-friendly solution to your landscape woes. Let go of the lawnmower and forget the fertilizer because with this artificial turf, maintenance is a breeze! Installed across the nation by certified contractors, Everglade Spring artificial grass is a soft mid-weight turf that is perfect for any backyard, commercial landscape or pet park. Everglade Spring showcases both field and lime green grass blades in addition to a brown thatch layer and also has an extremely strong backing. 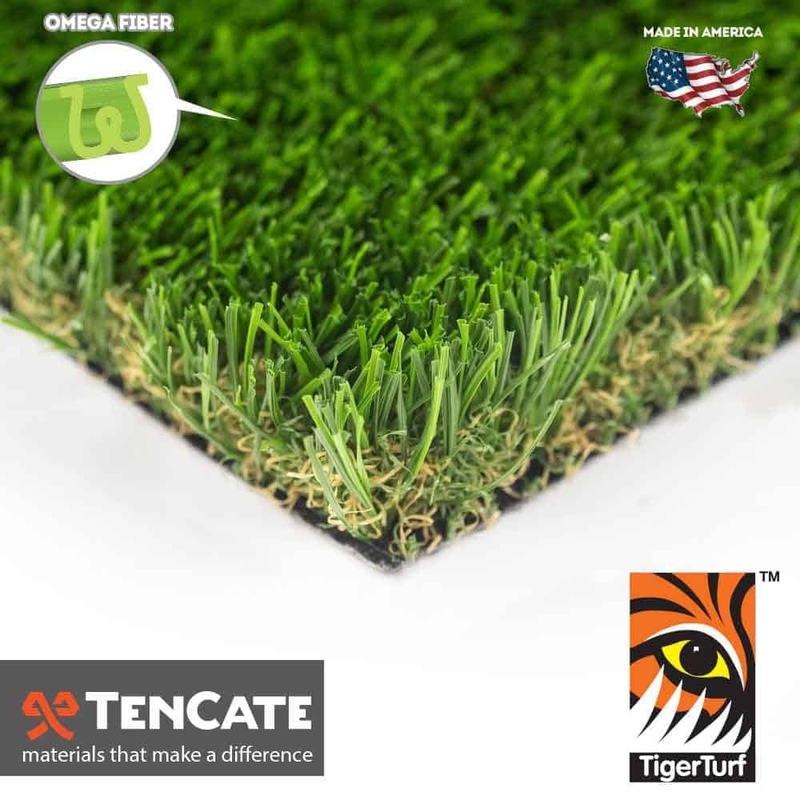 Armed with the latest tuft bind technology, this turf can handle moderate amounts of foot traffic because each grass blade is triple reinforced into the perforated backing. Not only can four-legged friends and children run and play, but cleanup is simple and easy! Each grass blade has a protective U.V. inhibitor that is incorporated within the turf’s master batch, so your grass will never fade! Guaranteed by our 15 year warranty, Everglade Spring is a perfect landscape alternative for any landscape installation!